What happens when you are rejected? Not for something you have done, and thus might change, but just for being, just for existing? Gianna knew that pain. The rasping scrape of metal against stone, the sound of the wind through the trees, and the bang of a screen door slamming: any of these might take her back to that time of being utterly alone, unwanted, and abandoned. But nothing scared her like fire. 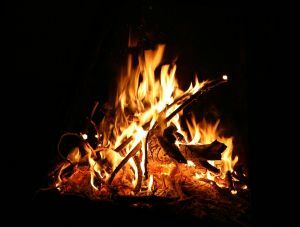 When a fire was lit in a hearth or campsite, she would cower in fear and wail. Why do I walk funny? Why do I fall down a lot? Gradually she asked the questions that unlocked the secret of her past. The story that unfolded had the power to stop her from joy forever. Gianna was, like many babies in their mother’s wombs, unwanted. –Did the father know? Yes. –Was he there for the mother? No. Her mother was a teenager with an unwanted pregnancy; Gianna was aborted. But when the burning saline solution did not kill her and she was delivered alive, a nurse took her to the hospital where, miraculously, she survived. God said to Jeremiah, “Before I formed you in the womb I knew you.” And he went on to say that Jeremiah was made for a reason. God made Jeremiah to tell the truth to Israel. all things were created: things in heaven and on earth, visible and invisible, whether thrones or powers or rulers or authorities; all things have been created through him and for him (Colossians 1:16). This means that all of us were created by God through Jesus for a purpose. God created Gianna in order that she would do good works. Despite the Dalits, or untouchables, of India, the people who live on trash heaps in Mexico, and the 700,000 babies aborted in America every year, there are no throw-away people. That we exist at all is not a morally neutral fact. Being alive is a good thing and it is pointed toward the good because we were made to do good. He is the source of our existence. All of us have a God-appointed reason for living. Gianna was plucked like a brand from the fire to remind us of this. The proper response to existence is to go to the one through whom all things were made. I find out who I am after I know whose I am. God’s word to Jeremiah, “Before I formed you in the womb I knew you,” might be answered with a reply from David in the Psalms, “behold I am fearfully and wonderfully made.” Our existence should arouse respectful fear of the one in whose image we are made. It should inspire wonder and worship of the creator who is able to make such profound beauty. 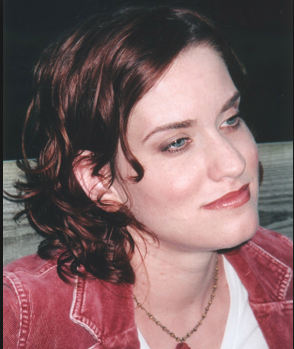 Gianna Jessen is a singer and a song-writer. She publicly advocates to stop the silent holocaust of abortion. She bears witness to the fact that God is our creator and that what he creates is good. You are not a throw-away person. You are made in God’s image and have a unique role to play in the great story that is unfolding all around you. Heavenly Father, you made me through your Son Jesus that I might do good works. You have plans for me that I don’t know about and that others can’t see. Help me walk into the purpose and reason you created me. When I am downcast and feel as if it would be better for me not to have been born, help me look to you for affirmation. When I am lost and lack direction, help me discover your purpose for me. I am fearfully and wonderfully made. You are a wonderful God.